A key ingredient to any election is marketing and campaigning, and election campaigns are in a league of their own. From an IMC point of view, candidates are just another brand. The goal of the campaign is to inform and persuade voters to vote for them. And although there are many different marketing methods and tools that are used in a presidential campaign, there is one strategy that seems to never leave a voter’s mind: a slogan. Slogans are created to summarize the candidate’s purpose and goals in a few words. Selecting the best campaign slogan is a pretty significant factor. This phenomenon does not only apply to political campaigns, but to any marketing campaign. Slogans should typically be short, effective, and to the point. If the slogan is effective, the public will be able to know what brand, or candidate, is associated with it. Examples of effective slogans include “Just Do It,” “Where’s the Beef?,” and “Got Milk?,” just to name a few, and of course there is our most recent example of Obama’s “Change” campaign. Slogans may be short, but they are powerful and meant to represent the brand and what it stands for. When considering everything that goes into preparing a political campaign, something as small as a slogan may not seem very important, but selecting the right one is just another way to take advantage of improving your brand awareness and recognition. An Oldie But Goodie: Here’s one of our favorite examples of a slogan! It may seem silly, but you’ll probably find yourself humming the tune after you hear it. Would a song like this have swayed your decision in the election? I definitely agree with this blog post in the fact that a slogan, short or long, has the ability to really persuade someone. When thinking about the presidential race, it seems silly that a slogan would have a vote changing affect on someone, but it’s true. Slogans can be very powerful. I like how you mentioned that a presidential slogan should include more than what is valued by the candidate but should also represent what is important to the citizens. I absolutely agree with this post because it relates to so many things that I have learned in my college courses thus far. In marketing and IMC I learned that how a company brands themselves should be strategically thought out in order to portray themselves as a certain way to the public. The information presented in your post correlates to what I have learned because in order to be a successful candidate for a presidential election, one must brand themselves in a way that will appeal to the public by summarizing not only their individual purpose but to also stand for what the citizens want as well. I think this blog is so true. A slogan can break or make a president. The fact that the slogan will be throw around probably more than the candidates actual views is very powerful. 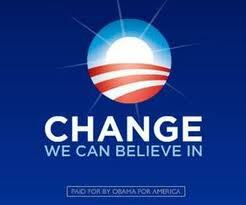 I would have to say that all the presidents we have had, have had very catchy slogans and very relate-able. The slogans that candidates pick out are always very aspiring, this is also true with marketing other products not just people. I am sure that most people know companies slogans better than they do their own past presidents! As sad as that is at least marketers know that they are doing a good job. Nicely written. I definitely agree that slogan plays an important role in IMC, it enhances the overall brand experience among customers. 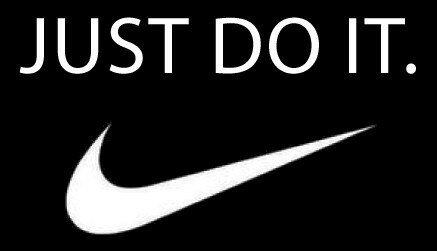 The most successful slogans just get stuck in consumers’ mind which increase both brand awareness and recognition. As for the example of slogan of a presidential campaign, I believe that it would not sway my decision in the election, even though it did attract my attention and make me humming the tune. However, I can imagine the decisions of some people who did not take the election seriously might be affected. Great job! Like the previous commenters, I too agree to the high effectiveness of a smart, thought out, to the point slogan. I agree with Margaret when she says that it may seem silly how a slogan can effect something as big as a presidential campaign, however it is completely true! As for myself, if I, for whatever reason really enjoy or relate to a slogan, wether it be for grocery store, beauty product, etc. I develop a brand loyalty to that product or service. I learned a lot about brand loyalty in my Marketing 340 class where it talks about how not only the slogan can be effective to followers, but the brandmark as well. A slogan and a brandmark are what makes the product/service recognizable to the public and its consumers. I definately agree with this blog. The slogan is one of the most powerful things in America today. The reason I say that is because it can either take you to the next level or bring you down. For instance, Nike and the “just do it” or even the “witness” slogan with Lebron James at the forefront of it helped boost Nike and Lebron and keep them a perrenial powerhouse of the advertising business. However, Even with the presidential races and things, their slogan is the first thing thats officially associated with them while on the campaign trail, so if the slogan isnt just right, then it could be a bad race on your part. have to give them something they can believe and possibly relate to. Many people were wanting to change. They believed it could happen and they could relate to it. This blog is very spot on. A good slogan is what makes or breaks a company and their product. I worked for a company this past summer that dealt with making companies slogans and logos. Companies pay lots of money to get the perfect logo and slogan to represent what they are selling and stand for. A catchy slogan can make people remember that company and cause for more business. A company wants their slogan to match their ideals and or product. For example, when Tiger started cheating he got dropped from a lot of companies because they did not want that bad PR because it would go against their slogan and values. Slogans can be catchy such as Arby’s Good mood food slogan; it gets stuck in my head all the time making me want Arby’s more often.